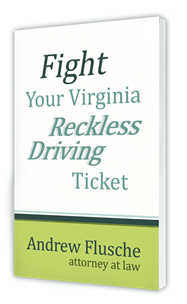 If you’re charged with possession of marijuana in Virginia, you have options about how to handle the case. Some choices may be better than others, and that’s what we’ll explore together. If you’re facing a Virginia possession of marijuana charge, one option you have would be to simply ignore the charge completely and think that it might just go away. I’ve seen more than one person do this approach and hope that their problems will magically evaporate. Unfortunately, that’s not going to happen. What you’re risking by just ignoring it and not going to court is most likely the judge will issue a bench warrant for your arrest (otherwise known as a capias warrant). If this happens, you’re going to have compounded your problems by having an additional charge for failing to appear in court. What really makes things bad is that a lot of times on a marijuana charge, you may not be facing the risk of real jail time. However, on a charge of failing to appear in court, unless you have some kind of really good excuse for why you weren’t there, many judges will impose some period of jail time for not coming to court. This option risks the real possibility of ending up in jail for something that otherwise might not have incurred jail. 2. Handle it by yourself. Some people choose to not hire an attorney and just go to court by themselves for their possession case. While that certainly is an option you have, there’s a few reasons why it may not be the best choice. First of all, I’ve seen many cases where a person basically got in the wrong line at court when they were by themselves. Sometimes when there’s a number of possession of marijuana charges on the same day, the judge will make certain announcements about different possibilities that are available. I have seen defendants get in the wrong line in those scenarios, and they end up convicted of something that they really weren’t trying to be convicted of simply by getting into the wrong line or saying the wrong thing. Another problem is that when you don’t have an attorney with you at court, some outcomes that may be really beneficial might not be available for you. For example, in Virginia, on a first offense of possession of marijuana, some courts will consider amending the charge to possession of paraphernalia. That offense would not incur any license suspension. However, to get an amendment to paraphernalia, in many cases it requires negotiation with the prosecutor, which is usually hard to do without an attorney. And one final quick reason why going by yourself may not be a good idea, is that you simply don’t know the ropes. Many things, like being able to get a restricted license application filled out properly, are kind of complicated and every court has different procedures on how they like to handle it. If you’re by yourself, you may just not understand the process to be able to navigate getting back on the road if your license gets suspended. Your final option for your possession of marijuana charge would be hire an attorney. However, I’m not suggesting just any attorney. What I would recommend is an attorney who is local to court that your case is pending in and who regularly handles possession of marijuana cases in that court. The main disadvantage of hiring an attorney is the cost involved. Attorneys aren’t free, and there will be some costs incurred if you want to hire somebody. However, there are strong advantages. As we discussed above, hiring an attorney means there are certain outcomes that may be available to you that weren’t otherwise as far as plea negotiations in the case. Hiring an attorney can be a critical difference in getting a favorable plea outcome. Also very importantly, an attorney will be able to analyze all the evidence against you to see if there may be any defenses to the charge. In a some possession of marijuana cases, one angle of attack is that the officer didn’t have a reason to stop you. Now this doesn’t happen in all cases, but it does occur in possession of marijuana cases. If we can successfully argue that the officer had no legal reason to pull you over, the evidence he obtained by searching your vehicle would be kept out of court. Typically that means we win. Another piece of evidence for an attorney to investigate is the video from the cruiser. Let’s say there may be a question about the officer’s stop or his search of his vehicle, in many cases there is video that we can review to see exactly what happened in the case. Some attorneys don’t watch that video, which I think is a critical mistake. If you’re representing yourself, it’s very hard to get your hands on that video. As you can see, you have many options for your possession of marijuana case, and some are better than others. If you’d like to talk about what option is right for your case, please just give me a call.